Gone are the times when men were considered unconcerned about their hair and skin care. Nowadays, everybody is concerned about their style. In fact, grooming is a big part of everybody’s lives. In grooming, hairstyle and hair care are essential. 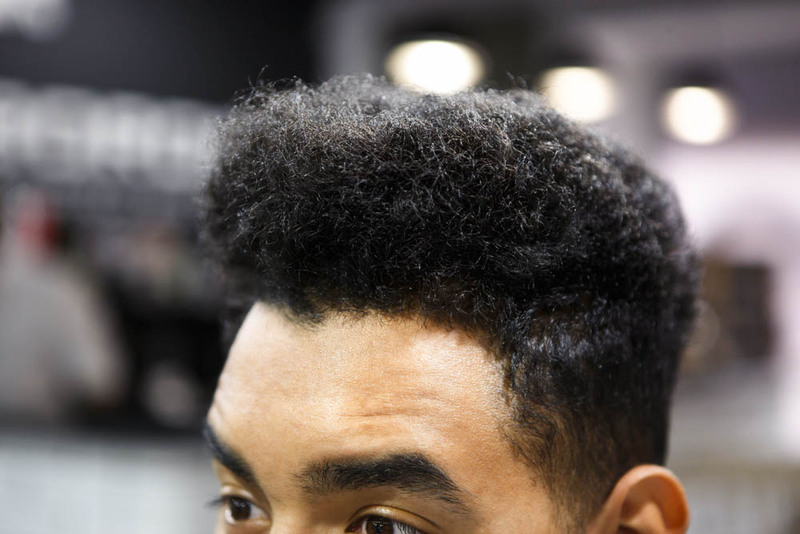 For black men, the main challenge in hair care is the retention of moisture. Because of their naturally curly hair, sebum does not always travel all the way up to the hair. This, in turn, leaves their hair dry and brittle. These dry and brittle hairs lead to weak hairs and this eventually leads to hair loss and baldness in black men. However, in our everyday life, our skin and hair come into contact with a lot of damaging environmental factors including dust, pollution, chemicals, etc. These eventually also lead to hair problems. So, we need to wash these off. However, mostly shampoos which have good washing properties leave the hair devoid of their moisture. 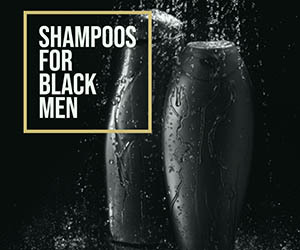 The above two factors present really compound the already difficult shampoo selection for black men because of all the marketing going around. We have searched the market for you and present our selection some of the best shampoos the market has to offer. Basically, we have gone for products which are free of drying ingredients such as alcohol and are rich in natural oils and moisturizes. The above table shows some of the salients features of the specific shampoo. But, we have reviewed each shampoo in further detail. So, let’s dive into it and help you find the best shampoo for you. 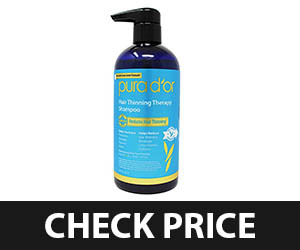 Pura D’OR changed their “Hair Loss Prevention Shampoo” to “Hair Thinning Therapy” after the fascinating results that came when the company put its formula on a clinical trial. In the trial, they discovered that in addition to preventing hair loss, this formula increases the strength, thickness, and volume of hair while ceasing the breakage and thinning of hair. What I really like about this shampoo is that it contains a blend of essential nutrients and natural extracts. These are responsible for the invigoration of hair and reduction of breakage and thinning of hair. If you like all-natural products, you are going to love this shampoo as it has all the natural ingredients. They claim that there aren’t even traces of harmful chemicals like gluten, parabens, and sulfates which is why it is hypoallergic and free of animal cruelty. I have reviewed a lot of personal care products over the years and there is no review than a personal experience. I recommended this shampoo to my friend whose hairs were getting rough, thin, and dull by every passing day because of certain medication he was on. With every bath, he was losing hair and finally decided to give it a shot and results were overwhelming. In this era of marketing, it’s really essential to know what you are using and knowing the ingredients can really help you make a better decision. Essentially, this shampoo is not a quick-fix solution for hair thinning. You need to give a good shot of at least a couple of months’ use to really tell the difference. This is because of its ingredients of cedarwood and black cumin seed oil. Cedarwood is good for stimulating the scalp and promoting hair growth. Black cumin seed oil, on the other hand, has anti-inflammatory, anti-bacterial, anti-fungal and analgesic properties which essentially cures the scalp of any infection. My friend had a noticeable difference in the texture of hair as well. The hair which was previously thin, dry, and rough got thick and smooth and the thing which made this possible was the combination of actions of DHT blockers including saw palmetto and nettle extracts. DHT or dihydrotestosterone is one of the most common causes of baldness in men. This shampoo blocks the action of DHT on air and thus fights baldness in men. There are a couple of things which I would like you to keep in mind when going for this shampoo. One is that it does not smell very pleasant. The bad smell it has is because of the black cumin seed. Second thing is that it does not foam as much. But, don’t worry about the foam, it cleans efficiently even without much foam. 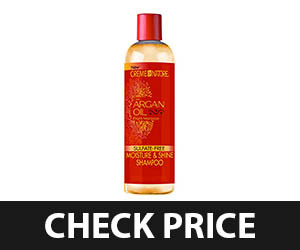 The price of this shampoo is high in comparison to regular shampoos available in the market. This is because this is not just shampoo it is a complete treatment for thin and rough hair. To get the best results, apply it on wet hair, rub it properly all over the scalp and leave it on for two minutes for proper absorption and deep penetration. Wash it off afterward. For noticeable results use this daily for at least three months. Final Words: Overall, this is a great shampoo to stop balding and hair thinning. All-natural ingredients make it a good choice. The smell may be a little unpleasant but who cares when it delivers what it promises and a nice smell isn’t amongst its promises, believe me. 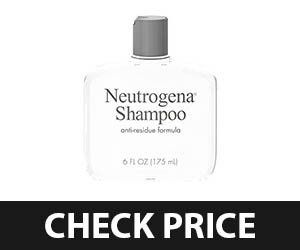 Neutrogena is a US-based brand of hair care, cosmetics, and skin care products based in Los Angeles, California. Because of their quality products, they have really become a global brand. T/Gel Therapeutic Shampoo is one of their best products. As its name indicates, it is proper treatment of various scalp conditions including dandruff, seborrheic dermatitis, and common dandruff. It basically contains coal tar extract which has been tested by scientists. Experiments have proven that coal tar stays active for hours even after shampoo is washed off. Basically, coal tar belongs to a class of medications known as keratoplastics. It works by shedding the dead skin cells from the top layer of the scalp and slows down the growth of the new skin cells commonly known as dandruff. It essentially just took one wash to get rid of itching and reduced the flakes significantly. He is using this shampoo ever since and now the flakes are all gone and his scalp is as smooth as cotton candy. So, he is all praise about this shampoo and recommends it to everyone suffering from dandruff and itchiness of scalp. For the people, who have chronic scalp psoriasis, this shampoo can be a great remedy. It will wash off all the nasty cells which have been piling up on your scalp and causing irritation. But, to stop the ever-increasing skin cells from piling up you will have to use it regularly. This is because psoriasis is an autoimmune disorder and does not go away unless you have proper medical treatment. A problem associated with this shampoo is its smell, which is pretty bad and unpleasant and doesn’t go away even if you wash off the hair. The solution for this is to use another shampoo with a pleasant smell right after using T/Gel shampoo, otherwise, you will stink the entire day. This shampoo is a bit pricy compared to regular shampoos, but if it helps with itching and irritation it is totally worth it. Isn’t it? Shampoo lathers up just fine so a bottle and half would be enough to last a month. The usage technique is simple. Wet the hair and apply shampoo, then massage it on the scalp thoroughly. After that, lather up and leave it on for a few minutes and then rinse it off. To get rid of smell use another shampoo with good smell. Final Words: This is basically a medicated shampoo for severe dandruff and scalp itching. Dandruff affects nearly half of the adult population. So, if you have tried all the different anti-dandruff shampoos with no real results, try this shampoo with coal tar and you won’t be disappointed. It comes at nearly twice the price of a normal shampoo, but it is worth every penny of it. OGX is a manufacturer of hair-related products and it was established in this very decade. In a short time with the motto of “What hair want” they have really worked their way up and have started producing really good products. 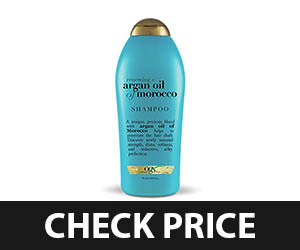 Renewing Moroccan Argan Oil Shampoo is one of such fine products. Basically, the formula of this shampoo is rich in silk proteins and has a powerful blend of argan oil of Morocco. This repairs the damaged and dry hair by sealing in the moisture and imparts a smooth and silky feel to hair. In essence, this unique blend can repair severely damaged and dry hair by drenching them with hydration and by strengthening the individual strands. I purchased this shampoo for my wife as she has dry and frizzy hair and really it worked in her favor. After a week of use, her hair was all soft and shiny and she did not have any irritation or itching as she had with several other shampoos containing argon oil. She recommended this to one of her friends, but she reported us the problem that the shampoo was stripping off her hair color. I looked for the reason and it was in the ingredients. The formula has a lot of organic (chemical) solvents which dissolve the color and thus strip it off. Another thing I would like to keep in mind is that it leaves oil on the scalp, so for the people who already have an oily scalp, this might be a problem. The shampoo is budget friendly and doesn’t burden the pocket even if you use it daily. It does not take much to lather up completely and two bottles of 13 oz. can last entire month even if you use daily. The price is reasonable and justified considering the effectiveness of the product. The technique to use this shampoo is simple like the regular shampoos. Simply apply it on wet hair and lather up. Leave it be for two to three minutes and then rinse off the shampoo. Final Words: This is the best product we could find with proven results for damaged and dry hair. But, if you color your hair, this is not for you as it strips off the color. Pureology has devoted itself to extend the life of color-treated hair. It is the best thing that could ever happen to the people who are tired of shampoo stripping their color off. Regular shampoos contain substances like sulfates which are carcinogenic and have solvents which dissolve and strip off the hair color. However, this shampoo is free of any such substance which is why it is the best shampoo for the people with colored hair. Some of the Pureology Hydrate’s ingredients include sodium cocoyl isethionate, coconut acid, glycerin, limonene, trideceth-12, geraniol, and benzyl alcohol. I would like to point out limonene amongst its ingredients which can cause skin allergy in some people. So, if you have limonene allergy, I would ask you to avoid this shampoo. Just to test its effectivity and to verify the company’s claim, I dyed my hair new. I used this shampoo for a month. The results were astonishing. Basically, the color which used to last only 15-20 days lasted more than a month. Moreover, I felt like this shampoo was actually rippling the effect of color. Other than its color protective properties, it has a nice aromatherapy fragrance which is very pleasant and works as an anxiolytic agent. Shampoo also has high lather and is pretty easy to rinse. Just like Tea Tree Special it also has a lot of copy cats which look exactly like the original, so to get the original one only get it from an authentic dealer or from trusted online stores. The price of this shampoo can’t really be termed as affordable. It comes at a high price. However, it is really concentrated and you only need to use half the amount of a normal shampoo. To use it properly, wet the hair and apply a quarter-sized amount to wet hair and lather. Rinse. Repeat if necessary. Final Words: This is a jackpot if you color your hair. It will hydrate your hair and won’t strip the color of your hair. Basically, it will make your color last more days and give a nice sheen to your hair. If I were you I won’t be having a second thought about it. 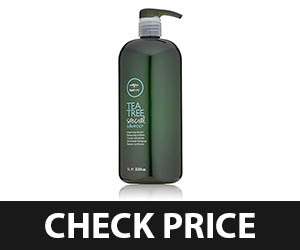 Next entry on our list for best shampoo for black men is Tea Tree Special. This is a product of John Paul Mitchell Systems. The company specializes in hair care and styling products through several other sister companies including Paul Mitchel and Tea Tree. They also have John Paul Pet Company which does hair and personal grooming for animals, isn’t it fascinating? I would like to start by saying that this shampoo is excellent for all hair types. It can be a good everyday shampoo as it gently washes away impurities, invigorates the scalp, cleanses it. This, in turn, leaves the hair refreshing and imparts a great shine. Basically, this shampoo is great for black men as it has tea tree oil which works by unclogging the hair follicles and nourishes hair root. Additionally, what makes this a good everyday shampoo for black men is that it is good for sensitive scalps. So, if you have a scalp that gets irritated with regular shampoos, give this shampoo a try. A friend of mine had eczema and every shampoo he used seemed to worsen the problem. Even the shampoos which are specifically designed for eczema and psoriasis left the sore open in his scalp. I recommended Tea Tree Special to him and now he doesn’t face any discomfort and gets the proper cleansing without any irritation. This is possible because of natural tea tree oil and peppermint oil which soothe the scalp and prevent irritation. You would love it for the fact that it has notes of lavender which impart a fresh smell in the hair. Personally, I have also tried this product to see if it helps with dry scalp and the results were noticeable, to say the least. Another praiseworthy feature was that it didn’t leave any oil residue on the scalp like most of the shampoos. As you know, any residue builds to cause scalp irritation. One thing I would like you to keep in mind about this shampoo is that this is one of the most faked shampoos. Therefore, I recommend to have it from authentic dealers or online stores. This shampoo comes at a competitive price, however, if you would go for the 33.8 fl oz sized bottle that will make the price even more reasonable. However, the bottle is not durable. So, you need to handle the bottle very carefully to make it last the amount of shampoo. You need to apply a small amount on damp hair, lather it and then rinse completely. Final Words: This shampoo should be your choice if you have an itchy or sensitive scalp. It is gentle on the scalp and does not leave a residue. Price is pretty reasonable and an absolute jackpot for those who have a sensitive scalp. The bottle isn’t good enough to withstand abuse. I love to know about a company’s history and some of the companies have quite fascinating beginnings. SheaMoisture was founded by Nyema Tubman and Richelieu Dennis in 1991 and they came to the US as refugees from Liberia, fascinating, right? This company specializes in the manufacturing of personal care products including shampoo, conditioners and body washes. The company has been putting a lot of funds in their research to come up with new formulas and to test that formula clinically. Manuka Honey and Mafura Oil is one of such formulas. 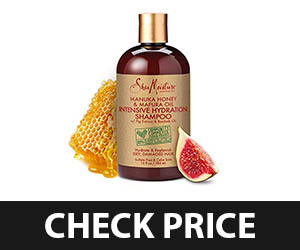 The shampoo of this formula contains Manuka Honey and this honey has plenty of vitamins in it which provide proper nourishment for hair growth. The combination of shea butter and essential oils also do wonders by restoring the hair moisture and making them soft and smooth. The first thing I noticed when I used this product was its smell which was really good and went a long way. On top of that, just a little amount of shampoo was enough to lather which was pretty impressive for a budget-conscious guy like me. If you have hair-related problems such as roughness, dullness, and tangling of hair, this shampoo is good enough to give noticeable results after just one wash. I simply love the fact that the lesser frenzy hairs last the entire day after a wash with this shampoo. The moisturizing ability of this shampoo is a blessing for most black men. However, it can be a curse for some as it moisturizes a little too much and at the end of the day your hair may look and feel oily. The best thing about this shampoo is its price which is very affordable and reasonable. Just a little amount of shampoo makes enough lather for a single wash. Two bottles can last entire a month if you use it daily. To get the proper results, it is recommended to apply it on wet hair and leave it be for two minutes and rinse it. However, if you want to keep the moisturization to a moderate level rinse it off right after you completely lather. Final Words: This is one of the best shampoos for black men as it moisturizes the hair and scalp and provides nutrition in the form of Manuka honey and Mafura oil. The price is reasonable, however, you don’t really a require a conditioner after a wash with this shampoo and this adds to its competitiveness in terms of price. Mafura Oil nourishes, softens and protects the hair. This is the second Neutrogena product that made to my list but this shampoo is unique from all the products mentioned here in the sense that it is used to clean the residues of different products which are left in the hair and cause irritation. First of all, this anti-residue shampoo works well on all kinds of hair and gently cleanses the hair. It additionally, boosts the volume by washing off the buildup of residues. This type of shampoo should be used once a month to clean up the residues of the products you have been using the entire month. I would like to tell you that for the purpose of writing reviews, in addition to a lot of research, I have to use a lot of different products. So, piling up of residues of different products is not a surprise for me. Lucky for me, I found this shampoo, I use it once a month to clean the scalp entirely and to increase the volume. For the people who love to dye the hair, I would recommend you to use this shampoo before coloring the hair. This will clean off all the residues and the hair would get the proper color. Even though the manufacturer says that it can be used on colored hair, I would advise you otherwise unless you want to remove the color. Moreover, this is not just for the people who use a variety of products, people who use limited products can also get benefit from it. I would recommend everyone to use this at least for one time and see it for yourself. Trust me you won’t regret it. I would like to reiterate that this shampoo is not for daily use and if you would start using it daily you would end up with dry and dull hair. Just use it once a month to clean the residues and to increase the volume. This clarifying shampoo comes in small containers as it is not for daily use. The price ranges from around $5 for a 6-oz bottle to around $17 for the 12-oz bottle. The price I would say is above average for an average shampoo but is competitive when compared with other clarifying shampoos. Usage technique is the same as any other regular shampoo. You know the drill, apply on damp hair and make enough lather and rinse it off. However, don’t use it every day as it will leave the hair dry and dull. Final Words: After using this shampoo for a couple of years now, I recommend everybody using a clarifying shampoo at least twice a week. This would remove all the different residue build-up from different products and will leave your hair squeaky clean. Crème of Nature Moisture is the product of Revlon Inc. which is an American based multinational company which manufactures a wide variety of personal care products. It was founded in 1932 and has its headquarter in NYC. Basically, it is a sulfate-free shampoo with an infusion of argan oil from Morocco. This helps to soften, detangle and optimize the moisture balance of the hair and scalp. It additionally, it cleanses the hair swiftly, moisturizes the scalp and imparts an exotic shine. You will like it for the fact that the shampoo smoothly glides over the hair and does not strip off the color or damage it. I am a product junkie and have a lot of products and don’t mind putting myself on the line just to test and review a product. So, I bleached my hair just to test this. Basically, this shampoo significantly prevents friction during the cleansing. I was reluctant to use this thinking It might be too heavy for my hair as it was sold in ethnic hair section in markets since I have non-ethnic hair but it proved me wrong. It felt smooth and creamy when I used it and it kept my hair hydrated entire day and also reduced tangling of my hair significantly. As it is sulfate-free, it didn’t cause any irritation or any sort of discomfort. A drawback of this shampoo is that it takes a lot of quantity to lather up completely. It might not be an issue if you are not using it daily. However, if you are a daily user, it might not be a good option as you would need at least three bottles in a single month. The single bottle of this shampoo doesn’t cost much but if you are a daily user it might not be a budget-friendly as you would need at least three bottles to last a single month. So for the people who take shower three or four times in a week, this is a good reasonable product but for the daily user not so good option. Usage technique is simple, apply it on wet hair and lather up and rinse the shampoo after two to three minutes. We recommended use of corresponding conditioner with this shampoo. Final Words: If you want to have detangled and smooth hair and are looking for a shampoo that has good moisturizing properties, go for this shampoo from Revlon. However, it does not lather as much and we would not recommend it for everyday use as it can amount up to be a little costly. Take a lot of quaintly to lather up. Degrease shampoo is the product of Maple Holistic which is a US based company and specializes in the production of hair care products. Maple Holistic has dedicated itself to beauty and wellness of hair and this shampoo is the result of their dedication and hard work. This shampoo contains lemon oil, peach kernel oil, rosemary oil, and Basil Oil. Moreover, it doesn’t contain harmful substances like paraben or sulfates. The combination of these ingredients wakes up the scalp. The dry hairs then absorb the oil. The shampoo then removes the buildup and soothes the scalp and thus reduces the itching and irritation. This product is best for the people who have excess sebum in their scalp which make their hair greasy. The shampoo contains the herb extracts which have plenty of nutrients which doesn’t only reduce the excess sebum but also add lightweight moisture, cleanse the hair very well make them soft and increase the volume. Well, some people might have an issue with its smell but it is not something to be worried about as it goes away after some time. The using technique is simple and the same as the rest of shampoos mentioned in the list and if you have made it to the end of this list you know the drill. Simple and easy. Final Words: The price is a bit higher than the shampoos listed above. However, again if the product is fulfilling your needs, it is totally worth it. Additionally, considering its grease removing-feature, the price is justified. Aveda Corporation was founded by Horst Rechelbacher in 1978, but later it was handed over to Estee Lauder companies. Aveda is known for its cosmetic products which is its specialty and this shampoo is one of their fine products. I used this shampoo several months back and found its scent really light and pleasant. Just as I told you before, I have rough hair and my hair require an ultra-moisturizing shampoo which is what exactly this shampoo is. Basically, the formula is rich in quinoa protein, coconut extract, and babassu. It gives a new life to the dry and dull hair by nourishing the scalp and keeping it moisturized. These two features make this shampoo one of the best shampoos available for black men. The texture of my hair was significantly improved after a week of daily use. Essentially, it kept my hair hydrated entire day and the best thing was my hair didn’t look or felt greasy. So, this is my go-to shampoo whenever I need to attend any other event. This is because of its nice smell and because it does not leave the oil behind which my regular shampoo does. To use it properly apply a little quantity of it on different spots and sink your finger in. Massage lightly in slow circles and after five to six minutes wrap the head in a bath towel. This will let the natural heat of scalp stimulate the treatment. After five to ten minutes, rinse the shampoo. Final Words: It is a bit pricy shampoo which is why I can’t use it as an everyday shampoo. However, a bottle of it is always present in my shower shelf. So, all the people with rough and dry hair out there, I would definitely recommend this and if the price is not too much for you, use it as your daily shampoo and allow it to work wonders for you. Maintaining the hair is important and this can take a lot if you are a man of color. So, here I will tell you some simple tips which you can do to take good care of black male hair. Our hair has a tendency to dry out because of the polluted environment we live in. This dryness can lead to several other problems including roughness and tangling of hair. To avoid this problem, it is recommended to moisturize your hair regularly with moisturizers including oils and creams. These moisturizers should be as natural as possible because synthetic compounds have a tendency to clog your pores and can lead to skin breakout. Shampooing too often can result in stripping of natural oils which are present in the scalp and are responsible for the protection of hair. SLS (Sodium Lauryl Sulfates) and parabens which are found in almost every other shampoo work as detergent and cleanse the scalp and hair. However, in the process damage the scalp by stripping off natural oils. To avoid this kind of damage it is recommended to shampoo every other day if you don’t live in very dusty surroundings. It will cleanse your scalp and won’t cause any significant damage. The composition of styling products often involves alcohol, mineral oils, and petroleum and these substances have a tendency to cake and flake in the scalp. So, while purchasing any styling product make sure it is free of all these substances. Most of the people comb their hair right after taking the shower because it is easy to style them while they are wet but this is a wrong practice. Wet hair is the most vulnerable and prone to breakage. This is why it is recommended to dry them first and then comb them. If it is difficult to comb dry hair, use oil before combing, it will help. Longer and fancy hair look good, but they require a lot of maintenance as well which some people are not able to provide because of their busy schedule. The deprivation of proper maintenance makes hairs messy and damage them. To avoid these problems it is recommended to cut your hair short as it requires far less care or take time from your busy schedule to maintain the style. If you often swim or like to have fun in the swimming pool chlorine in the water would be a problem for you. Chlorine can dry out your hair and can cause it to become brittle, so to avoid this problem it is recommended to wet your water with regular water and apply a mild conditioner before taking a dip in swimming pool. Sunlight contains UV rays which can damage the hair when they are exposed to it for a longer period of time. It is advised to wear a loose cap or hat if you are under constant contact with sunlight. Brushing your hair right is really important if you want to groom yourself nicely. Here are a few tips which would help you in this regard. Mainly, there are two types of brushes, the hard ones, and the soft ones. Both of them serve different purposes so it is important to choose the right brush for the right purpose. Soft brushes are used to control and flatten the stray hair that tends to stick out. However, the hard ones are best to create more discrete shapes to the hair so always use them accordingly. Brushes have a lot of designs and not every design is good for black male hair. For the people with long hair, it is recommended to use “hair pick". However, those with shorter hair can use military palm brush. The hair brush sponger works fine on both long and short hair. Wet hair is vulnerable and prone to breakage on brushing. Therefore, it is recommended to dry your hair first and then use the right brush to style it. To properly brush the hair, it is recommended to brush the sides down and do the same on the back. After doing so, go to the top and brush it forward. Brushing with this technique would give you a good presentation whenever you go out. If you have wavy or curly hair, your hands are your best tools. People with curly hair should put their hands on their scalp and then rake their finger through. Allow it to dry and apply for some leave-in conditioners or gel on the fingers and distribute it evenly by sliding through any tangle. Brushing from top to bottom can be damaging to the hair. This is because when you do this it exerts a pull on it which can cause breakage. The best way to untangle the hair is to start from the bottom and work your way up. This won’t exert any pull and would prevent from damage. Some people scrub too hard where the scalp is oily, don’t do it. Over scrubbing will stimulate the sebaceous glands and those glands which are already producing excessive sebum will produce even more and would make your hair more oily. It is recommended to leave it be and go easy on it. Some people believe that the more the brush the shinier their hair get but this is just a myth and a wrong practice. Over-brushing lifts the cuticle of the hair and causes it to break which makes your hair dull because light doesn’t reflect on it. The brush you use holds onto the debris of product you brush out every day and if you don’t clean it afterward you will end up with having that debris back in your hair. It is recommended to clean the brush after every two weeks and the best to way to clean is to soak it in a mixture of clarifying shampoo and water for five minutes and pick out the loose hair. Don’t soak the wooden brushes for a longer period of time as it will damage the wood. This will help you in keeping your hair clean and would also increase the life of the brush. Nowadays, almost every other person is going through some sort of hair problem. Some are going through hair loss while others are going through dandruff, flakes, dry scalp and what not. There are a lot of companies who offer hair care products which can help you with these problems, but the issue is not every product is for you. We really need to keep ourselves wary of marketing tricks that companies employ and go for the ones which work. In essence, we should choose such products in general and shampoos in particular which are made for our needs. So, how do you decide which shampoo is best for you? Every race has different types of scalp and hair issues and so do black male, here is an in-depth guide on selecting shampoo for your specific needs and what to look out for. I am often asked I am a black male with a sensitive scalp which shampoo I should use, here is an answer. The scalp can become sensitive because of different reasons. Some people have sensitive scalp because of a certain medical condition like Eczema while others have sensitive scalp by birth. So, for people like these, normal shampoos won’t work. The usage of regular shampoo will definitely cause discomfort as it contains parabens and sulfates which aren’t good for the scalp. Therefore, in order to avoid this discomfort people with sensitive skins should use paraben and sulfate-free shampoos. We tried to include shampoos in our list which are from such such additives. So, if you have a sensitive scalp, you can select any of the above shampoos without a second thought. For most of the people using paraben and sulfate-free shampoo will help but some might still encounter discomfort. So, for people like those, I have good news the Tea Tree Shampoo mentioned is specially designed formula for the people who have extremely sensitive skin. Therefore, if you have used several products, but still the problem is not going away Tea Tree Shampoo is what you are looking for. Shampoos usually contain several chemical solvents in the formula. What this does is that they dissolve the color and strip it off and the people who have colored hair this might be a problem. To avoid this problem, it is recommended to use shampoos which contains the least amount of such solvents. 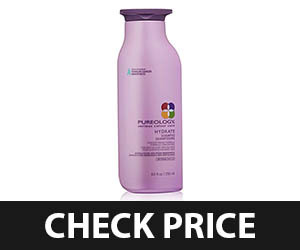 Pureology Hydrate shampoo is one of such shampoos. It is color protective in nature and ripples the effect of color. Dandruff affects nearly half the adult population and is a common marketing point of different brands. Therefore, we often get hit by commercials of several brands claiming that their shampoo is best anti-dandruff shampoo. However, in reality, they just wash away all dandruff and don’t cease its production and once you discontinue the shampoo you will start having the problem again. The solution to this problem lies in the formula of the shampoo. Shampoos which contains coal tar are best for dandruff. This is because not only it washes off all dandruff, it ceases its production as well. So, if you are looking for a proper anti-dandruff shampoo this factor must be kept in the account. 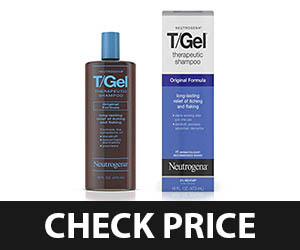 Neutrogena T/Gel Therapeutic Shampoo is one such product. Oily scalp is one of several hair problems which affect a variety of men and women. To understand what causes the oily scalp, we have to go in the biology of the skin. 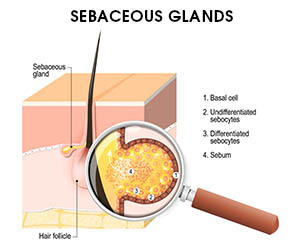 The skin has sebaceous glands all over it which are responsible for secreting sebum. The natural action of this substance is to prevent skin from any possible bacterial infection and moisturize hair. However, the problem arises when these glands begin to secrete this sebum in more than usual quantity or you are using products which leave oil in and it does not get rinsed completely. The solution to this problem is the shampoos which are specially designed to remove the sebum and oil from the scalp. Shampoos which contain lemon oil, Rosemary oil, or Basil Oil are the best for the removal of oil from the scalp. 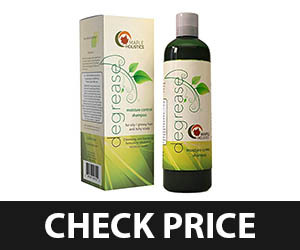 Degrease Shampoo which is reviewed in our list has a formula which contains all the necessary ingredients to wash off all the oil from the scalp. 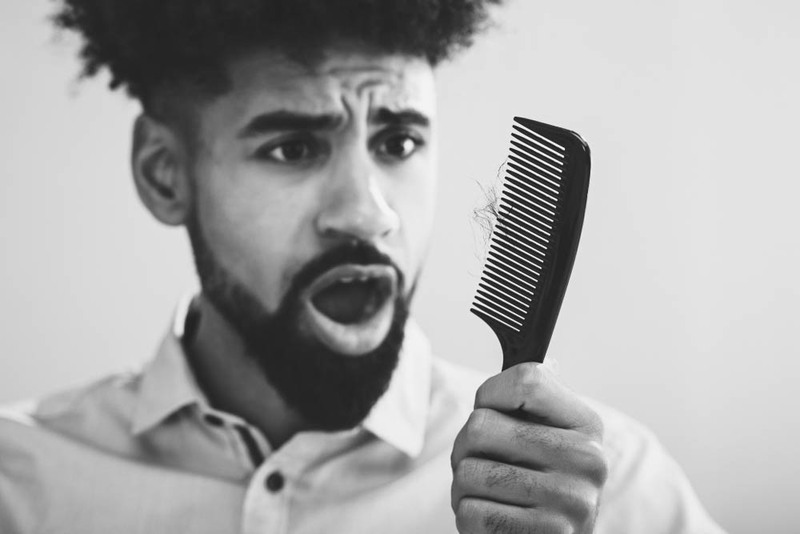 Black males are more than likely to have dry and curly hair and they often face this problem. So, because of the dryness, the hair often gets tangled with each other and when one wants to comb the hair it causes pain and discomfort. The solution for such hair is the shampoos which contain argon oil which is best for the dry hair. It hydrates the scalp and thus hydrates the hair which prevents the hair from getting tangled and make them non-frenzy. As it is a common problem for black males, we have tried to include a number of products which contain argon oil and one such product is Creme of Nature Moisture & Shine Shampoo. Dry scalp can lead to many problems such as dandruff, dry and rough hair. This, in turn, leads to several other problems. The scalp gets dry when there isn’t enough moisture or the moisture evaporates too quickly. In order to prevent this problem, it is recommended to use the shampoo which contains a significant amount of oil. The oil locks the moisture into scalp and prevents the evaporation of moisture from it. Healthy scalp then nourishes the hair properly and decrease the hair loss and make them thick, soft, smooth and strong. Residual Removal Shampoo - Why You Need One? In our daily lives, we use a lot of products on our hair including conditioners, oils, gels and what not. When we wash our hair, the majority of these substances get washed away, but traces still stay in the scalp. When these substances pile up they cause several problems and it is necessary to wash them off. The regular shampoos are not enough for this purpose. There are special shampoos with “Anti Residual Formula” which one must use once a month to get rid of all the residues which have been piling up in your scalp. These shampoos act by cleaning the residues and make your scalp clean and make your hair voluminous. The excess use of these shampoos is not recommended because it dries the hair and consequently makes them rough. Once every two weeks is enough to clean up the residues. There are a plethora of hair-related problems encountered by each of us and they seem to never go away no matter what we do. We have tried to include some of the best shampoos for black men with proven results. Hopefully, the piece would have cleared a lot of confusions and questions regarding hair care for black males. However, if you still have any question or query, please feel free to comment below and we would love to respond.